Diwali, the festival of lights is the most celebrated and most famous festival amongst all the Hindu festivals. It is usually celebrated for five days in most parts of India. And this festival usually falls on the day of Amavasya in Ashwin month of Hindu calendar symbolizing the victory of good over evil and light over darkness. This is celebrated in a special way throughout India and each region has its special way to celebrate. On this day, all the houses, shops, commercial establishments and the streets are decorated with lights which make the atmosphere colorful. Diwali is also celebrated by Buddhists, Jains and Sikhs all though the legends behind the celebrations are different. This festival is also known as “Deepavali” which means row of lights. According to ancient India, Diwali was a famous harvest festival. However, there are different reasons connected to celebration of this festival. Some believe that celebrations started when people of Ayodhya celebrated the return of Lord Rama, along with Sita and Laxmana from their fourteen year of exile from the kingdom of Ayodhya after defeating the demon king, Ravana. Some believe it’s the celebration of Marriage between Lord Vishnu and Lakshmi. Some others believe it’s the celebration of victory of Lord Krishna and his wife Sathyabhama over Demon Narakasura. Diwali is celebrated for five continuous days and each day has a name. The 1st day is called as Dhan teras. It is celebrated to mark the beginning of Diwali. The 2nd day is called as Naraka Chaturdasi. It is celebrated to observe the victory of Lord Krishna over the demon king, Narakasura. The 3rd day is called as Diwali, the most important day amongst all the five days. 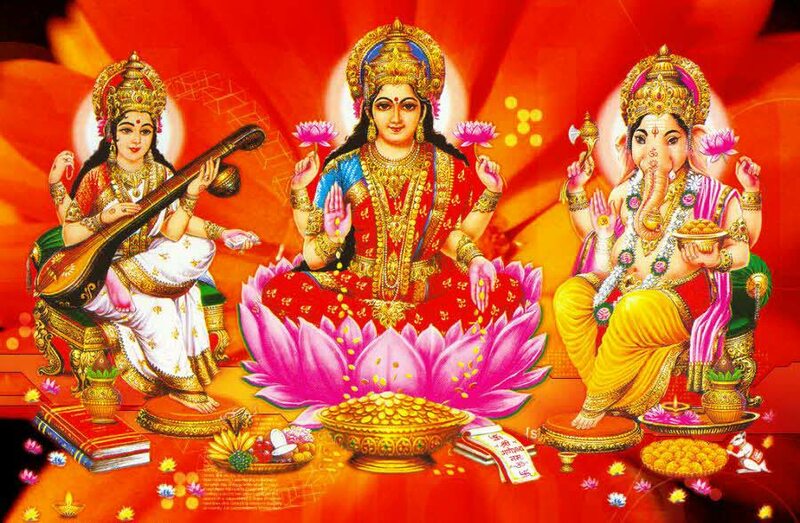 This day is dedicated to goddess Lakshmi and special prayers are offered to Goddess Lakshmi at every house and shop in India. The 4th day is called as Padwa. Special prayers are offered to Lord Goverdhan on this day. And the 5th day is called as Bhai Dooj. It is celebrated to symbolize the relationship of brothers and sisters. The main attraction of the festival is lighting. All the houses are decorated with lights and diyas. Another attraction is bursting crackers by people of all age groups with lot of enthusiasm and excitement. People all dress up with new clothes and exchange sweets and savories with relatives and friends. Diwali is celebrated in all parts of the country. However, it is celebrated more prominently in northern parts of India. Diwali is celebrated with great hype in Delhi and Varanasi. Delhi: Delhi, the capital city of India is the most happening place during Diwali. Here, festivity starts from Dussehra itself. All the streets, market places, shopping malls are decorated and illuminated drawing thousands of people on shopping spree. Special discounts and promotions are offered during this time. Varanasi: Varanasi, the holy city of India wears a colorful look throughout the festival of lights. Diwali is one of the important festivals, which is celebrated with great enthusiasm and excitement. Varanasi is one of the famous pilgrimages in India and people believe visiting Varanasi during Diwali is very auspicious and hence all the temples are crowded and bustling with devotees. All the ghats, temples and all other religious places are decorated with lights and people release diyas into the river.